HOT-HOT-HOT pink dichroic glass earrings! There are fun stripes of bright turquoise that runs down the centers. For added awesome-ness, we've added squares of sparkly turquoise blue that sits atop the other turquoise stripe. SO pretty! 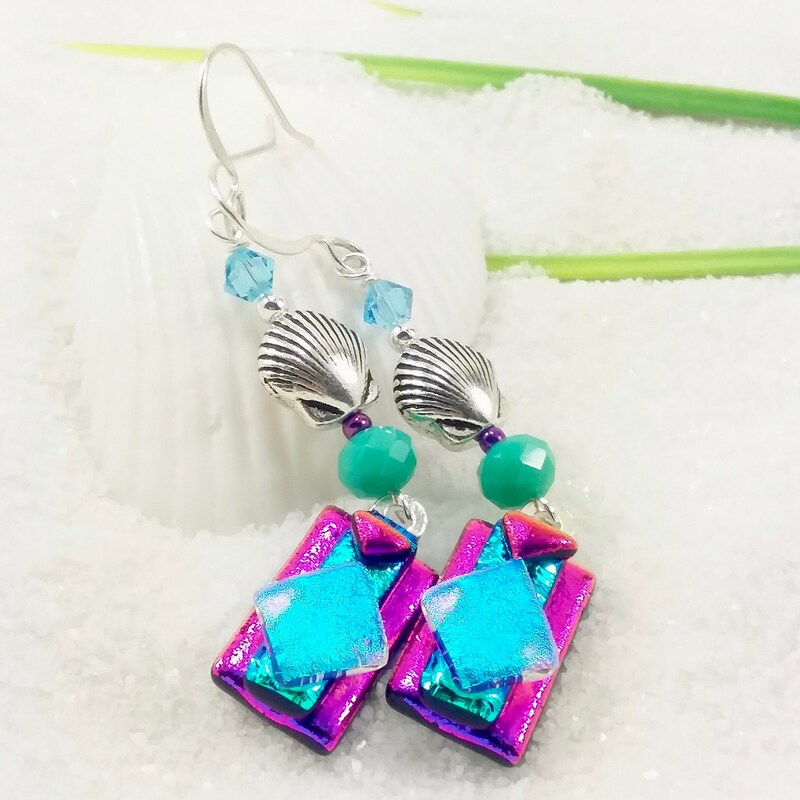 And if that wasn't enough, there are also complimenting Swarovski crystal beads and sterling silver "Seashell" beads. Set with silver plated bails & ear wires.